For a guy who regularly deals with putting things into space — not to mention, he was hanging at the Pentagon when he spoke to Mic — Eric Stallmer sounded psyched, even stoked, to talk about SpaceX&apos;s historic landing. Stallmer, the president of the Commercial Spaceflight Federation, knew immediately what it meant to watch the Falcon 9 rocket hit the ground. For the thin rocket to land on its end was a considerable feat. But Stallmer was excited about the financial implications of a reusable rocket. If you don&apos;t have to spend millions of dollars to buy a rocket that can&apos;t go back into space, that amount — in the case of the Falcon 9, SpaceX CEO Elon Musk estimates $16 million — could go to other things. Or make flying to space extremely cheap. At least, as cheap as exploring strange new worlds or seeking new life and new civilizations can be. According to the Federal Aviation Administration, there were seven commercial space flights in 2015. Five of them were SpaceX&apos;s Falcon 9 rockets. That&apos;s roughly $80 million in gargantuan hunks of aluminum-lithium alloy and onboard computers. In the future, that cost could be cut down to the price of a single rocket. According to Stallmer, the FAA projects more than 20 launches next year. "When the cost of launching goes down, it opens the possibility of new entrances into the market," Stallmer told Mic. "You can send huge constellations of satellites into space at a time. Communications satellites... It opens the internet to markets all around the world." One company using satellite constellations, O3b, aims to give internet to the estimated 3 billion people in the world who have zero access or heavy censorship, giving almost half of the planet&apos;s population a voice, not just in commerce but in diplomacy. "By 2020, space tourism will be a booming marketplace," Stallmer told Mic. Earlier this month, Congress approved NASA&apos;s budget for its commercial crew program, meaning the U.S. doesn&apos;t need to continue to buy rockets from other countries to get to the International Space Station. "Two independent clients are working on doing that return to flight by 2017," Stallmer told Mic. "It&apos;s long overdue that U.S. astronauts have flown on U.S.-made launch vehicles. I think it&apos;s horrible we have to rely on the Russians to launch American crews into space." Thanks to the Falcon 9 landing — and before it, Blue Origin&apos;s New Shepard landing — the next few years could be the gateway to commonplace space tourism. Richard Branson&apos;s Virgin Galactic, which suffered the loss of a pilot after the crash of its SpaceShipTwo vehicle, plans to get back in the saddle, becoming a competitor for Blue Origin. "By 2020, space tourism will be a booming marketplace," Stallmer told Mic. "[Virgin Galactic] has the schedule for seeing passengers, maybe by 2017, but those timetables are driven by safety of flight." Beyond opening the door to space tourism and global connectivity, lowering the price of a launch is a pivotal step on the journey to Mars. When the price of the most basic necessity, the rocket, goes down, more money can theoretically be brought into the fold. 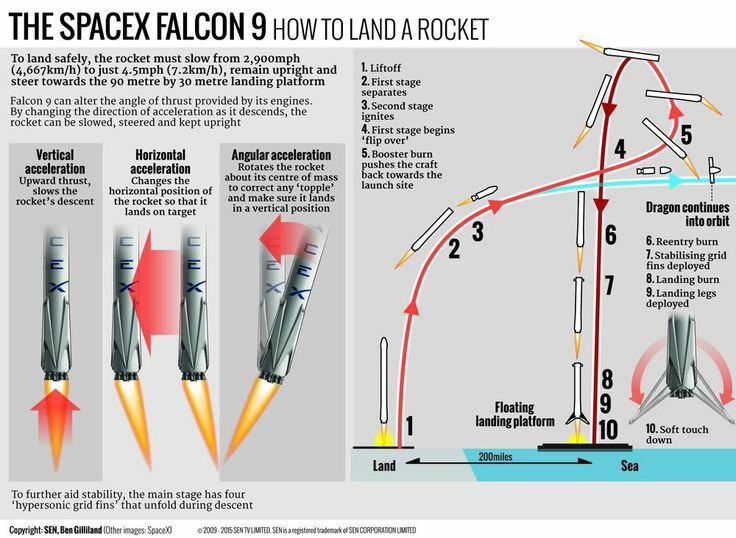 Hypothetically, with 20 commercial flights to space in 2016, if they all happen to launch with reusable Falcon 9 rockets, American spaceflight could save about $320 million. There are a lot of caveats. But if NASA&apos;s full $1.24 billion commercial crew budget will let us explore new worlds, imagine how much more space we can see if a fourth of that doesn&apos;t have to be spent on rockets.